Today’s Act of Kindness is to nominate the most thoughtful, kind, caring and considerate person you know as a Kindness Ambassador! 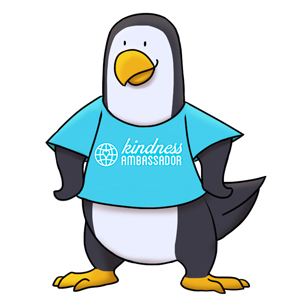 We will select five lucky winners and send them one of our Kindness Ambassador t-shirts! 1. Write a sentence or two (or twenty) about the #KindnessAmbassador in your life in the comments below and tell us what you admire about them. 2. Fill out this form so we know their t-shirt size and where to send it if they are one of our winners.